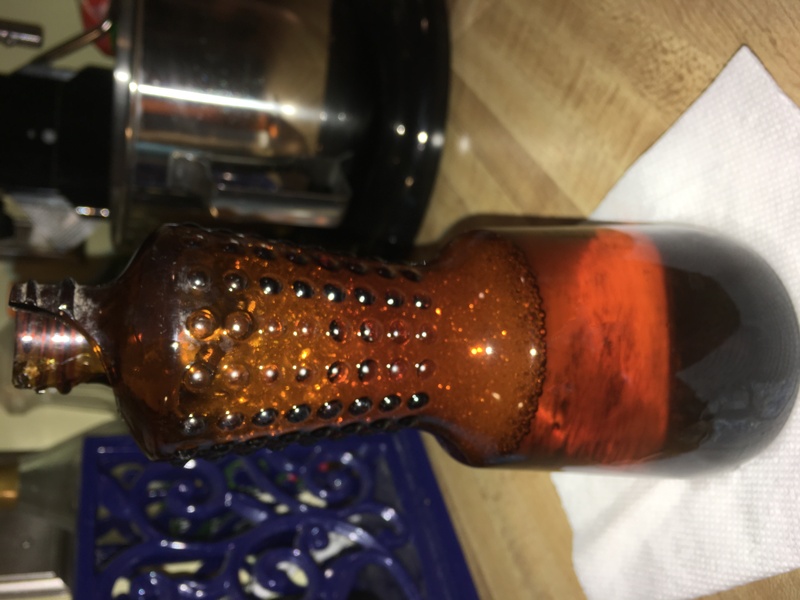 How old is this bottle and what was it for? Found this bottle on a bike trail in SW Ohio. Amber with raised bumps. It has screw lid tracks on the neck. Very faint seam running top to bottom. The only mark in the bottom is a tiny circle with what looks like a capital i in it (or a 1, I can’t tell).